Valentine’s Day is just a few days away, do you already have plans with your special someone? 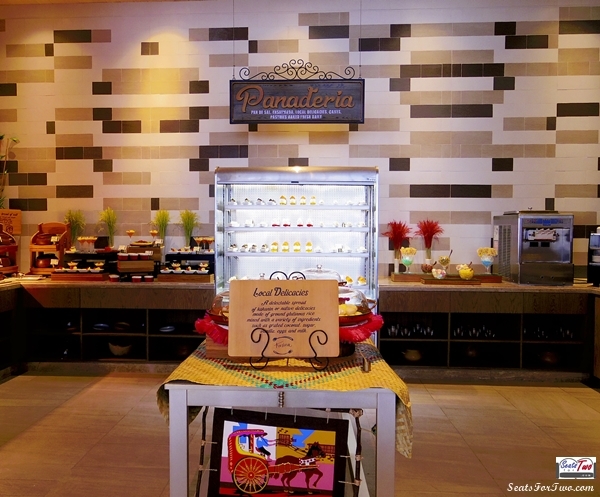 How about a special lunch or dinner at one of Manila‘s newest upscale buffet spots? 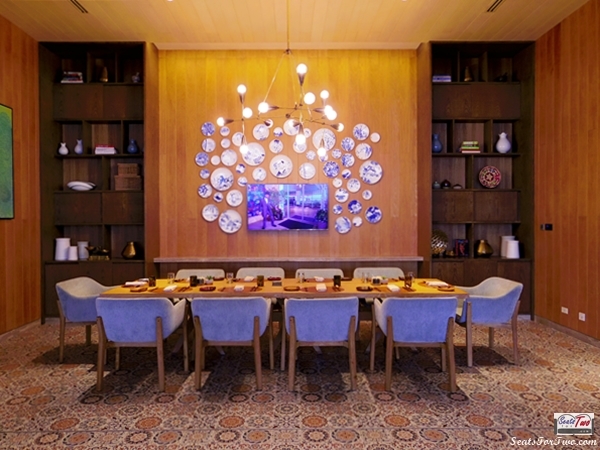 What we had in mind is one of the newest hotels in Resorts World Manila – the Hilton Manila! 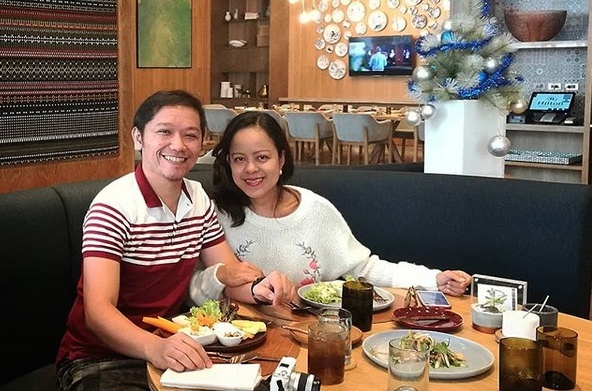 We were able to join their Christmas Tree lighting ceremony last December; while a few weeks ago, we got to dine at one of their lovely restaurants – Kusina Sea Kitchen! 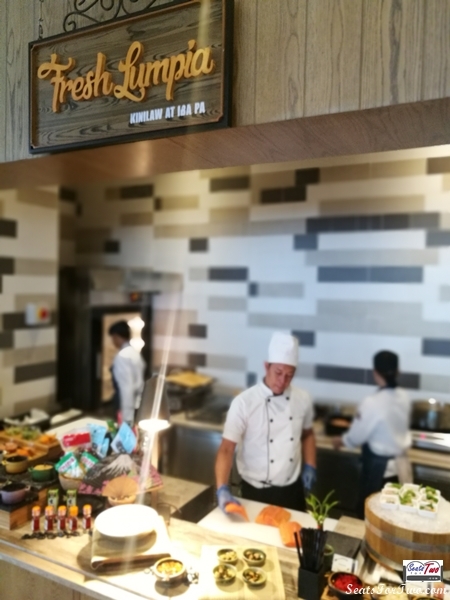 Kusina Sea Kitchen is a Filipino-themed buffet restaurant that offers both Asian and Western cuisines, with emphasis on the former. 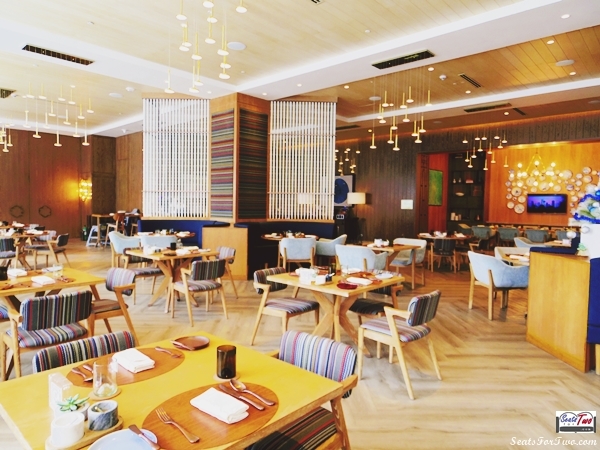 Hinging from the hotel’s elegant interiors, Kusina continues the look and feel inwards while adding edgy and bright accents from its dining tables & chairs, wall decors, and unique lighting fixtures. As for our lunch buffet, we started with a set of familiar Filipino appetizers. 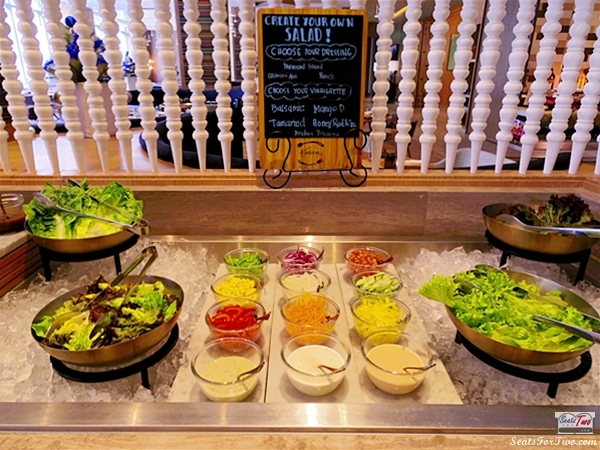 We also made our own salad as Sea Kitchen serves a variety of good salad dressing. We took special notice of the one made with pomegranate juice as it tastes good and is very healthy as well. 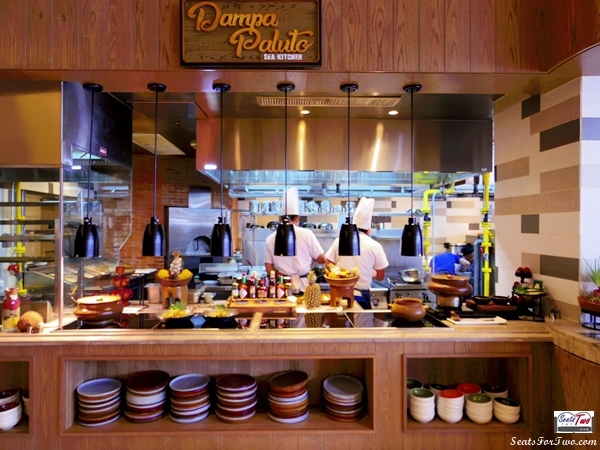 Next to the appetizer spread is the Talipapa lane which offers Dampa Paluto-style where guests can choose from an array of seafood options and have it cooked/prepared by the chef in any way they want! 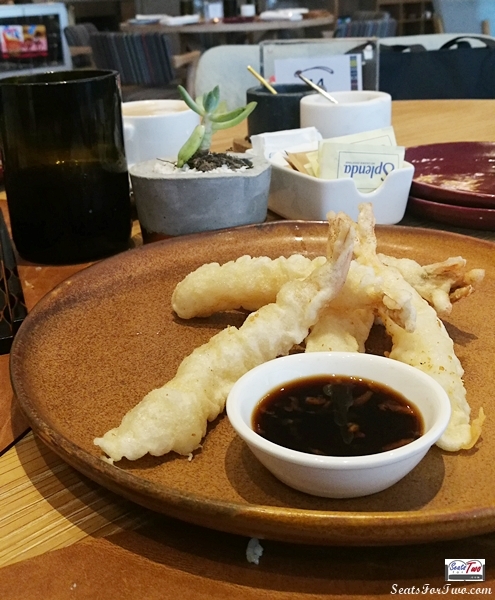 Mr. Seats For Two‘s favorite is the Garlic Buttered Shrimp (among others), while Mrs. Seats For Two went for the Shrimp Sinigang (Filipino savory sour soup / stew with a hint of tamarind flavor). 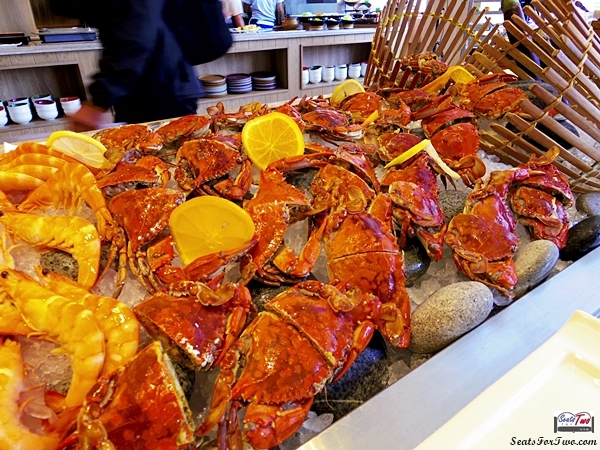 Any Crab dish ideas in mind? Another interesting section of Kusina is the “Fresh Lumpia, Kilawin at Iba Pa” area. It literally translates to “Fresh Spring Rolls, Raw Seafood dish, and more“. The latter is a famous style of preparation from the northern parts of the Philippines. 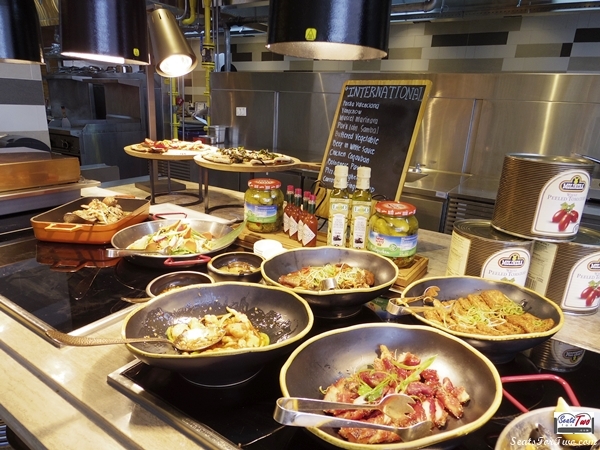 Moreover, there are international cuisines that can suit the global tastebuds including Paella Valenciana, Yangchow, Mussel Marinara, Pork Loin Sambal, Buttered Vegetables, Beef in White Sauce, Chicken Coqauban, and Bolognese Pasta, among others. 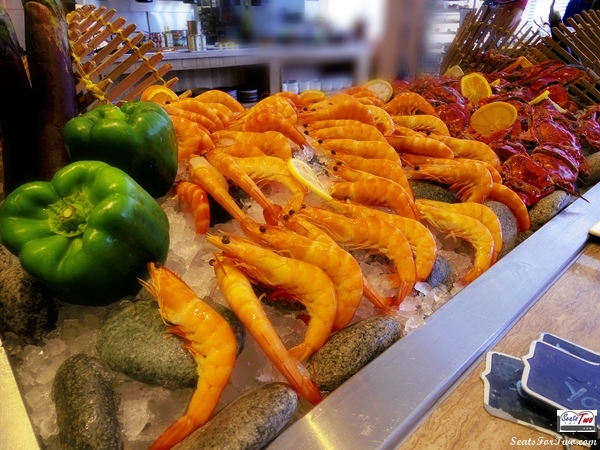 Overall, it was a filling buffet dining experience at Kusins Sea Kitchen in Hilton Manila! 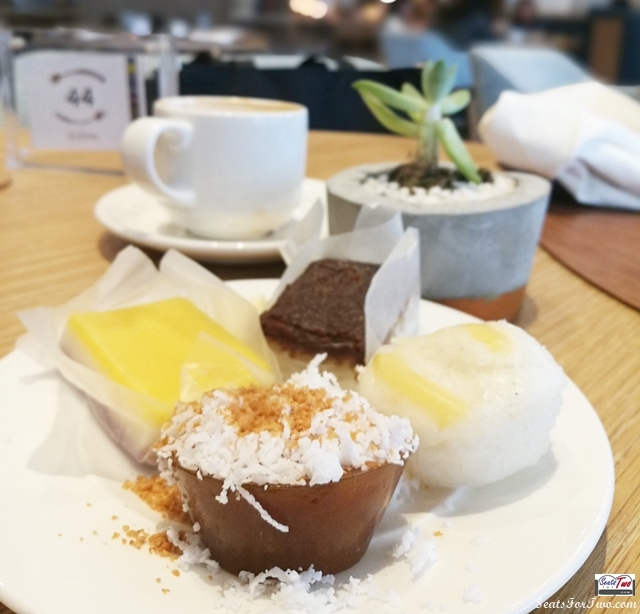 Hilton Manila Hotel is part of the Hilton Hotels and Resorts group serving guests around the world in more than 540 locations, 78 countries including the Philippines, across six continents. Refreshing Green Salad and a heartwarming soup! 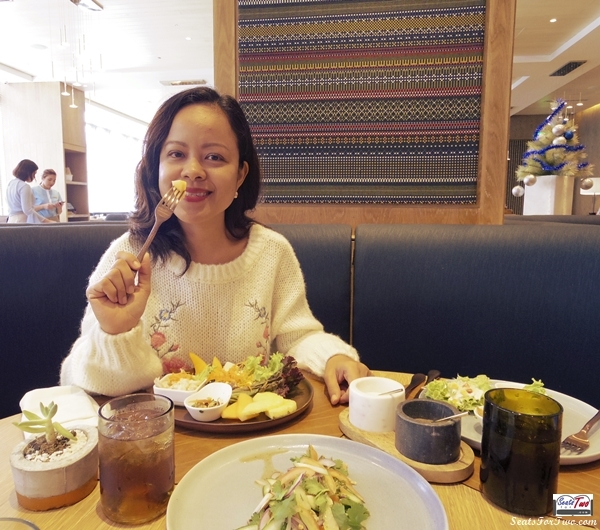 We’re sure coming back for more Filipino food at Kusina Sea Kitchen in Hilton Manila. 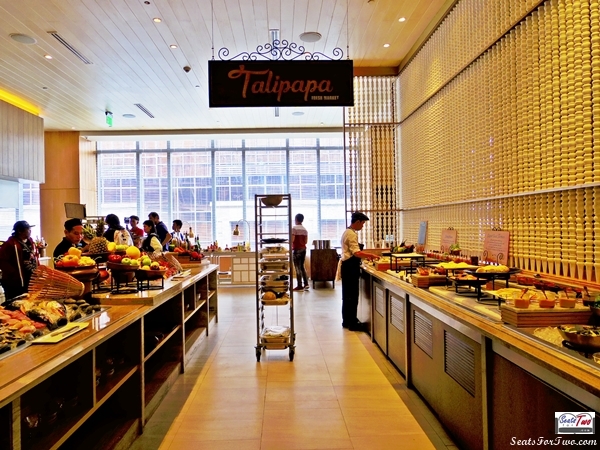 Make sure to try the Paluto-style from the Talipapa section!